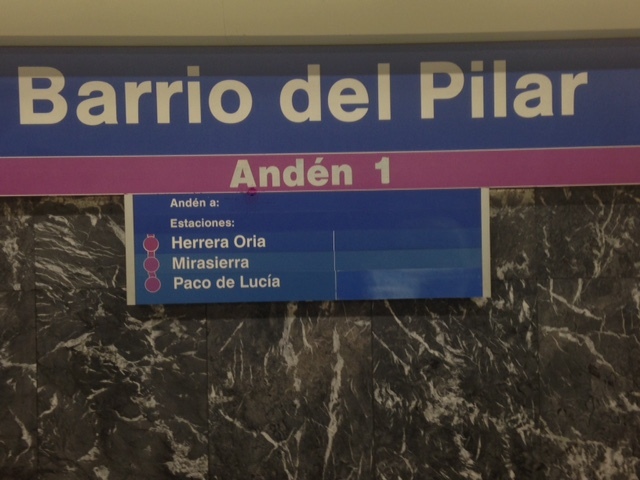 The subway line that passes by where I’m staying in Madrid begins (or ends, your choice) at Paco de Lucía station. It is a new extension and the new station was going to be called something else, but then the great guitarist and composer died (on February 25, 2014) and when it opened last year it was named after him. Music is such a mysterious art. We hear ten guys who play guitar fast, cleanly, with great emotion, yet we can hear that THAT one is different. Then we learn that Francisco Sánchez Gomes read three books a week (from Dickens to Murakami to Perez-Galdós,” says his son Curro), loved movies — Hitchcock, John Ford but especially Billy Wilder are mentioned — and had marathon weekends of Spanish film … and there is just so much more to the man, and it’s all in the music. A friend calls him “un revolucionario conservador,” a conservative revolutionary or, perhaps, a revolutionary conservative. A good spot for the beginning (or end, your choice) of a line.